Helping the developer of housing projects in costing them. 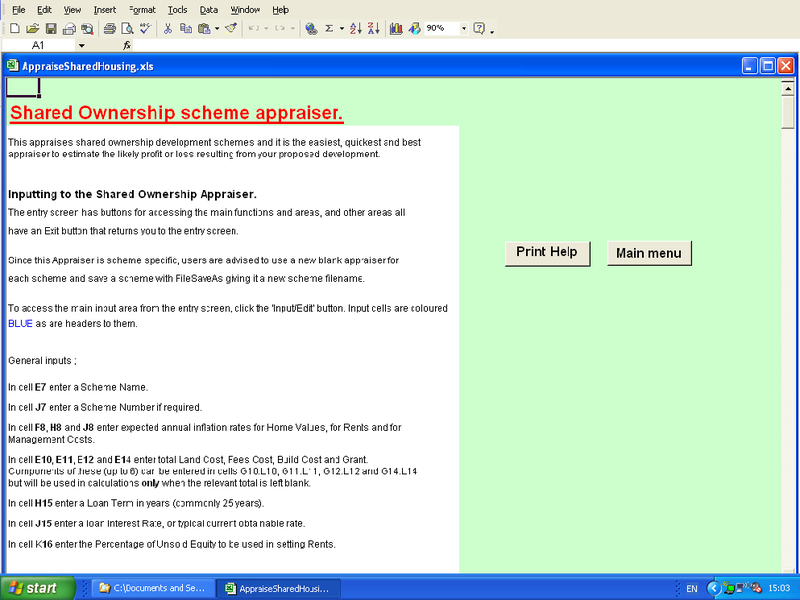 These easy automated Housing Development Appraisers in Excel are a MUST for those concerned with the development of housing for rent, for sale or for shared ownership. If you are using laborious manual scheme appraisals, then these development project appraisers will save you much time and money. Once scheme data is input, multiple scenarios can be run in minutes at any time before, during and after your development process. 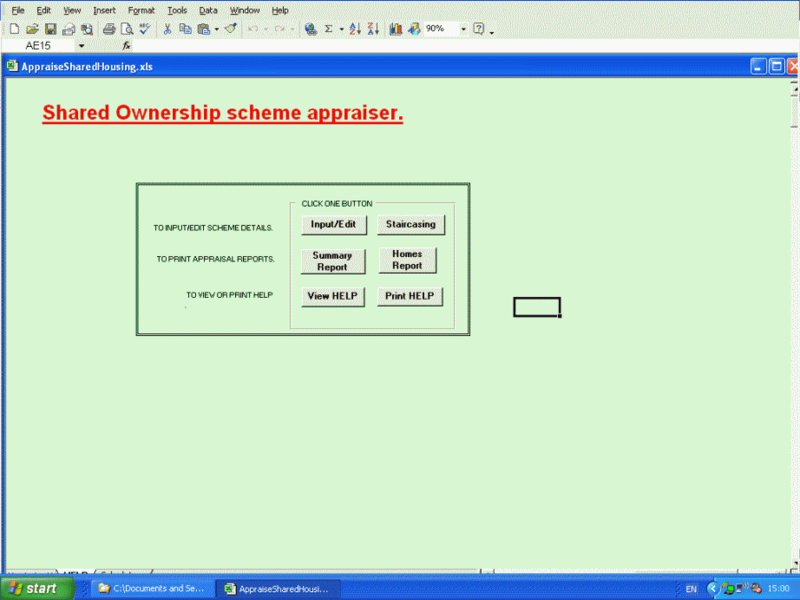 Below is explained our Shared Ownership project appraiser, which allows for subsequent equity sales or 'staircasing'. What if management costs rise yearly by 1.2%, 2.5% or 4% - or what if you must cut the sales price in your mixed scheme for only 3-bedroom homes ? These and many other scenarios can be very easily run in minutes. Easily use this Shared Ownership Housing Development Appraiser to easily run options with different costs, different sales prices, different house type mixes and/or different staircasing. Easily get instant reports on yearly costs, surplus/loss and receipts for 50 years - highlighting breakeven year and key averages. And further detailed outputs are also produced for each home type in your scheme. 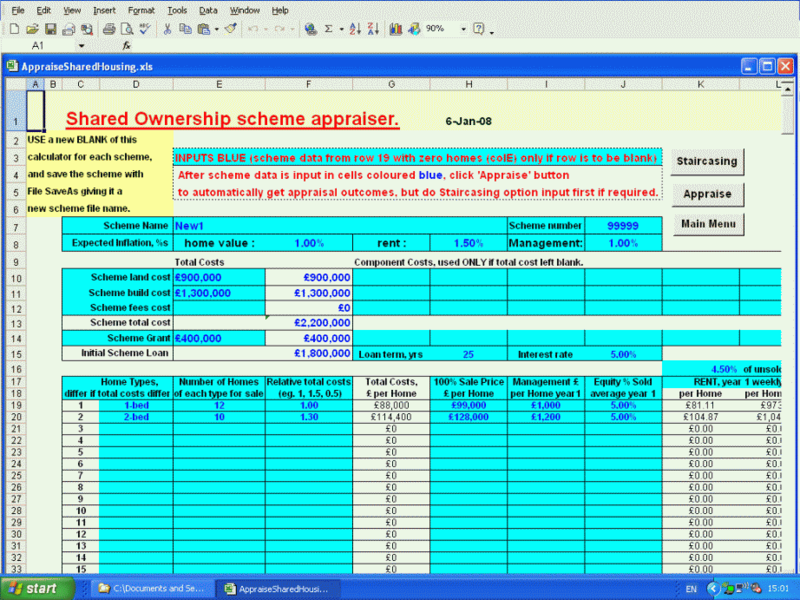 Standard version can be downloaded when order completed, for Excel2002 upwards. Custom version available for all Excel versions from Excel97 onwards. Get all of this now for only £20.00, by clicking HERE. 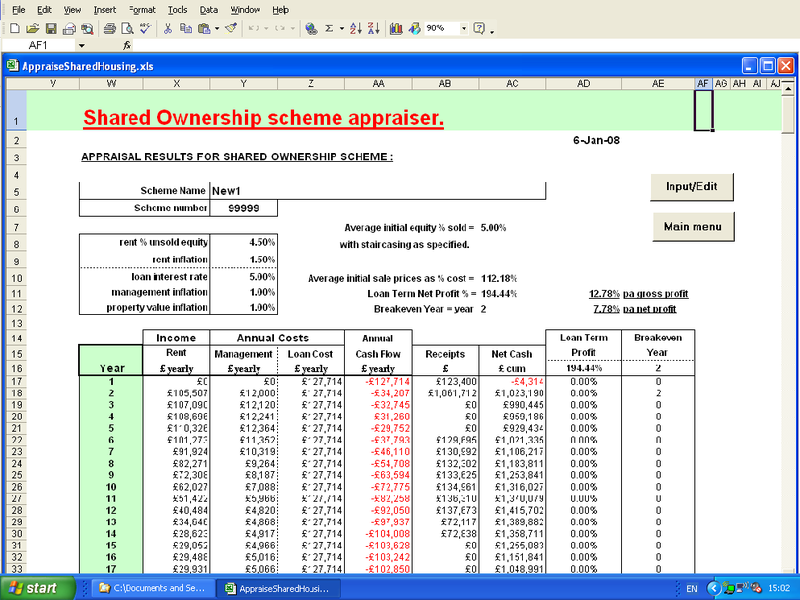 AND we do our own great Excel Shared Ownership Housing Shared Ownership Cost Calculator at a good price. 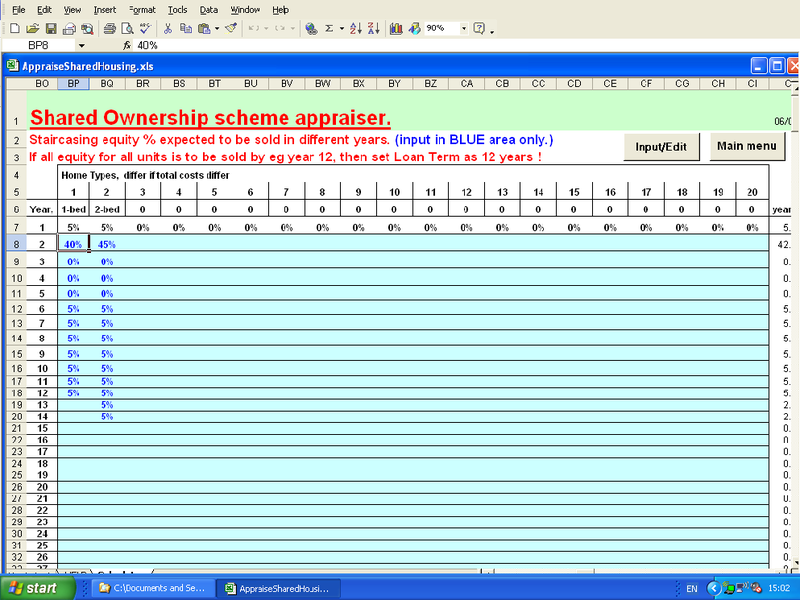 OR see our easy automated Excel Rented Housing Appraisers or Housing for Sale Appraisers. OR see our automated Excel POS point of sale systems for shop or store in Pounds or Dollars now only £20.00. AND you can download our FREE automatic Excel Free Math Worksheet calculators for different ages. This website strongly supports the social inclusion policies proposed by our sister website Social Exclusion Housing - especially regarding children. You may want to learn a bit about French kissing, online dating, love and marriage. otherwise, if you have any view or suggestion on the content of this site, please contact (e-mail vincent@wilmots.me.uk or write Vincent Wilmot, 166 Freeman Street, Grimsby, N.E.Lincs, DN32 7AT).